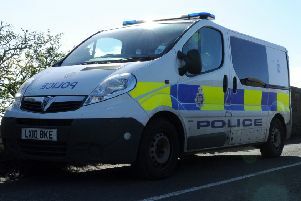 Police are appealing for witnesses after finding a man with facial injuries in a house in the early hours of Sunday morning. Officers attended a call at around 1am on November 5 after reports of a disturbance in Thirlestane. Inside a property a 33-year-old man had injuries on his face who declined medical attention. Police now want to establish the full circumstances of the incident. Detective Inspector Jim Thomson from Falkirk CID said: “At this time we do not know how, or where, the man sustained his injuries. However, we believe it was likely as a result of a disturbance within a home in Thirlestane. “Members of the public who remember seeing or hearing anything suspicious within the area during the early hours of Sunday morning are therefore asked to contact police immediately. Anyone with information is asked to contact Falkirk CID via 101 and quote incident number 277 of November 5, or through an anonymous report to the charity Crimestoppers on 0800 555 111.